If your child attends dance classes regularly, then no doubt at some point they will be entered into a competition. Competing is often part of belonging to a dance school, and it can be a great opportunity for your child to show off what they have learnt. Performing under pressure is a skill which needs to be learnt if your child wants to become a professional dancer, and competition dancing is a good place to start. However, there are also multiple benefits if your child dances just for fun – read on for everything you need to know about dance competitions. Although some competitions have solo categories, most kids will perform a routine in a group at a dance competition. Whether it’s jazz, disco, street, cheerleading or any other form of dance, working as a team is crucial. Everyone has to work together to score points, so it’s a great way to teach kids that anything is achievable together. Whether the team wins or not, they’ll be winners or losers together. Competitions can teach kids more than just good dance technique and performance skills – they also teach vital life lessons. Not all dance styles have exams or levels which can be certified, so a competition is another way to measure progress. While attending dance lessons is fun, it’s good to have a common goal and something to work towards to make sure everyone is trying their best and progressing as they should. Dance teachers can decide which competition to enter and when they team is ready. Seeing what other people can do from other dance schools can ignite passion and a determination to win like never before. Competitions aren’t just about performing, they are also a good way to gauge the progress of other dance teams and children and compare with your own dance school. If the standards are high, then this will push your child to raise their standards too. In sports, players win and lose all the time, so at the end of each game they feel elated with a triumphant win or know they have to work harder. Attending dance lessons is different, as you don’t win or lose at the end of every single class, and no amount of praise or constructive criticism can replicate the feeling. Coming 1st, 2nd or 3rd at a competition is an achievement to be proud of for your child. Interested in entering your child? 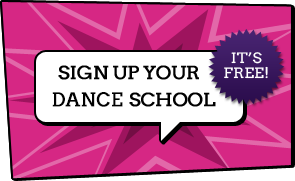 Your dance school will inform you of any possible competitions which your child has the opportunity to perform in.